Dr Pusey's own books, bought after his death, originally formed the heart of Pusey House Library. Since then, by gift and purchase, the Library has grown into an important collection that is widely recognised as the leading specialist library not only in Oxford but in the United Kingdom. In addition to its primary source material and books on the Anglo-Catholic Movement, in recent times the Library has become a resource centre for the Church of England, holding runs of church newspapers and directories and other relevant material and publications. The large majority of books are on open-access shelves. The Library also subscribes to a large number of periodicals and journals. The books are arranged on the shelves by subject, and a copy of our classification scheme can be consulted in the library, or online. 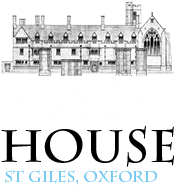 The foundation of Pusey House Library was laid with the acquisition of Dr Pusey's books after his death. They reflect, not only his part in Church affairs in the 19th century, but also his studies in Old Testament literature, Semitic and oriental languages, the Early Church Fathers, and German theology of the 17th and 18th centuries. He possessed a collection of French devotional and spiritual writers, most of which are not to be found elsewhere in Oxford. The general collection of Charles Jacomb was added in 1887 and L. O. Bigg's collection of c16th patristic texts from the Aldine Press in the following year. On his death in 1890 H. P. Liddon bequeathed not only the Complutensian Polyglot but also the largest collection of printed Sarum liturgies outside the Bodleian and the British Museum. A bequest of many early printed theological books came from C. C. Balston in 1892. The first major bequest of the 20th century was that of Robert Barrett who died in 1915. In 1930 the Library received the collection of Cuthbert H. Turner which was particularly strong in books on canon law. Books of a general character, but with a bias towards ecclesiastical law, came from the library of Lord Phillimore in 1935. Darwell Stone, who was sometime Custodian of the Library and from 1909 to 1934 Principal of the House, left, on his death, his large and wide-ranging library. This reflected his interest in the theological and doctrinal arguments of the day and also his work in the Fathers and his lexicon of Patristic Greek. A selection of books on ecclesiastical history came from Canon Claude Jenkins, sometime Regius Professor of Ecclesiastical History in the University. Theological books from the library of E. O. James; and many modern works from Tom Parker, sometime Priest Librarian were left to the House. Large donations of books came from the libraries at Church House and the English Church Union. Oxford Polytechnic Library gave numerous miscellaneous works and the library of Dr Garry Bennett, containing much valuable material on the c18th, was left to the House, of which he had been a Governor, on his death in 1987. In 1994 Manchester College Library donated books of German 19th and 20th century theology which complement Dr Pusey's own books on the subject. In Hilary Term 1996 the Library acquired the theological books of the late J. Athelstan Riley, donated by his grandson Major J. R. Riley. Athelstan Riley was a leading Anglo-Catholic layman closely connected with the Church Union and other societies. The benefaction includes much rare and valuable liturgical material. Benefactions in recent years have included books from the Estates of the late Father Philip Barratt, historian and parish priest, and Mrs Joyce Coombs, biographer and historian of Anglo-Catholicism. Through purchase and benefaction the Library holds over 3,000 volumes published before 1760. A short-title catalogue is available for consultation. Pusey House has acquired a large and diverse collection of pamphlets, mostly theological, of the 19th and 20th centuries. These are maintained in the Archive and are available to bona fide researchers. There is also a small collection of 17th and 18th century pamphlets. 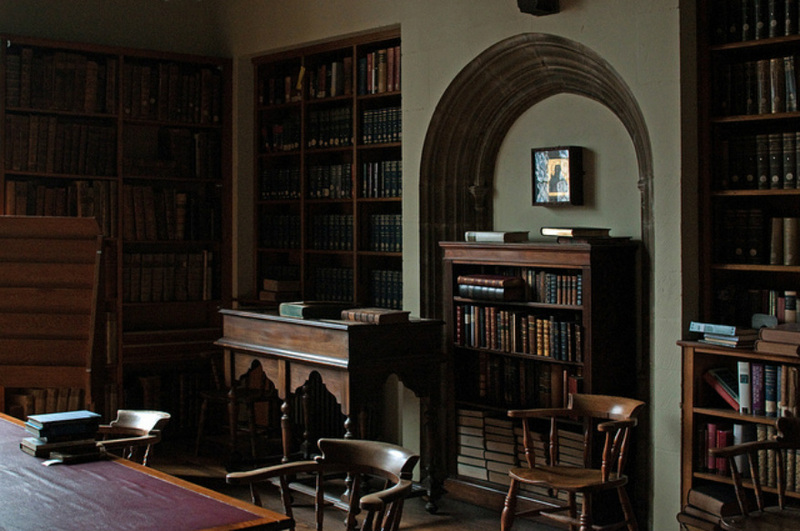 Pusey House has an unrivalled collection of 19th and 20th century pamphlets on ecclesiastical and theological affairs. Pamphlets were sent out subsidised by their authors, who could afford, at least financially, to ignore public opinion in a way that other writers could not. Lying between the private letter and the newspaper on the one hand, and the reflective, full-scale review of the period on the other, pamphlets allow the actual climate of opinion to be experienced. In many ways they were the blogs of the pre-internet era. Although they deal mostly with urgent and passing phases, yet, more than letters, they put events in perspective. They record the spirit and progress of controversy as it was felt and known at the time, not as it came to be understood afterwards. Their character is often cheeringly independent, since many were never intended to be economic propositions. The Pusey House collection comprises the pamphlet libraries of several notable individuals. These libraries show a markedly individual character revealing the interests and connections of their different makers. The volumes of each sub-collection have been arranged as nearly as possible in the order in which they must have stood on the shelves of each collector.